Concerns over climate change coupled with the desire to develop an economy based on renewable and sustainable feedstocks have catalyzed interest in developing pathways and technologies for production of bio-based energy and bio-based products. Biomass utilization plays an important role in this picture since biomass is the only renewable energy source that can offer a direct (e.g., drop-in) replacement for fossil-based transportation fuels in the near to mid term. The United States alone has the capacity to produce more than one billion tons of sustainable biomass, which can be used to produce transportation fuels with dramatically reduced carbon footprints, bio-based chemicals to replace petroleum-derived analogs, and renewable electrical power. A bio-based economy can serve to create new economic opportunities and jobs while simultaneously reducing future climate impacts. Pyrolysis represents an important conversion pathway for accomplishing this goal. Pyrolysis is a central technology for biomass deconstruction and fractionation which generates intermediates for upgrading to fuels, fuel intermediates, and fuel blendstocks by catalytic and biological means. Depending on the exact pathway and end use, biomass conversion routes employing pyrolysis may be less capital intensive than alternate schemes and have the additional advantage of high throughputs and moderate operating conditions (temperature and pressure). Bio-oil derived by fast pyrolysis of biomass represents a potentially attractive source of transportation fuels and high-value chemical intermediates that can help accelerate progress toward the renewable and sustainable bio-economy of the future. 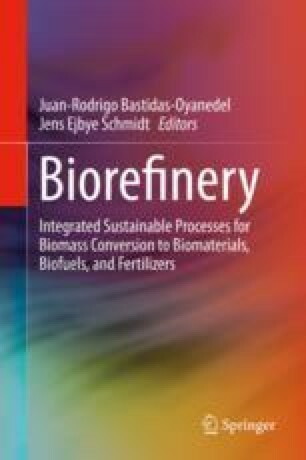 In this chapter we will capture recent advances in biomass pyrolysis and bio-oil production and utilization. The focus is on use of biomass pyrolysis to produce intermediates that can be upgraded to transportation fuels. Upgrading strategies including in situ and ex situ catalytic fast pyrolysis are reviewed along with integration of bio-oil in conventional petroleum refineries. The impact of biomass-derived oxygenates on fuel properties is also reviewed.